This raised an obvious question: Does the President know this? If we were going to hinge our foreign policy to a relief pitcher, Gagne would not have been Jose’s first choice. A far better option would have been Mike Timlin, as he is proficient with small arms and likes to wear camouflage. Of course, the President may be saving Timlin until we have four more years of war. You know, Timlin in the eighth. Then Scott Williamson would take over the war in year nine. Who says Bush can’t learn from past mistakes. 2. Jose loves pork chops. He just loves them. Maybe the best thing about the modern, lean pork chops is that they are at their absolute best with no seasoning more exotic than salt and pepper. From time to time, Jose will lose his senses and sprinkle a pork chop with some exotic rub designed to accentuate its fatty deliciousness, but the result is invariably disappointing. When it comes to pork chops, Ockham’s Razor presides. Last night, Jose thawed out a couple of pork chops for dinner. Summer grilling, you know. As he prepared to salt and pepper them, he noticed that one of the chops was kind of strange. Rather than having the white-pink hue and smooth texture Jose is accustomed too, it was redder, the grain thicker. At first, Jose was concerned that there was something horribly, cataclysmically wrong with this pork chop, but then he realized the awful truth—it wasn’t a pork chop at all. Instead, it was a piece of sirloin steak cut in a shape that vaguely resembled a pork chop. When cooled to freezing the vast tundra of Jose’s ice box, the slab of cow was indistinguishable from the swine upon which Jose so gleefully digs. The reason Jose brings this up is that he’s been thinking that Kevin Youkilis is a lot like that steak that appeared to be a pork chop. Maybe he wasn’t exactly what you thought he would be, an everyday third basemen, but what he turned out to be, a slick fielding first baseman is pretty good, though maybe he needed a bit more seasoning than he would have at first. Also, like the steak he is conceivably, though not certainly kosher, while Pork Chop Lowell, most clearly is not. 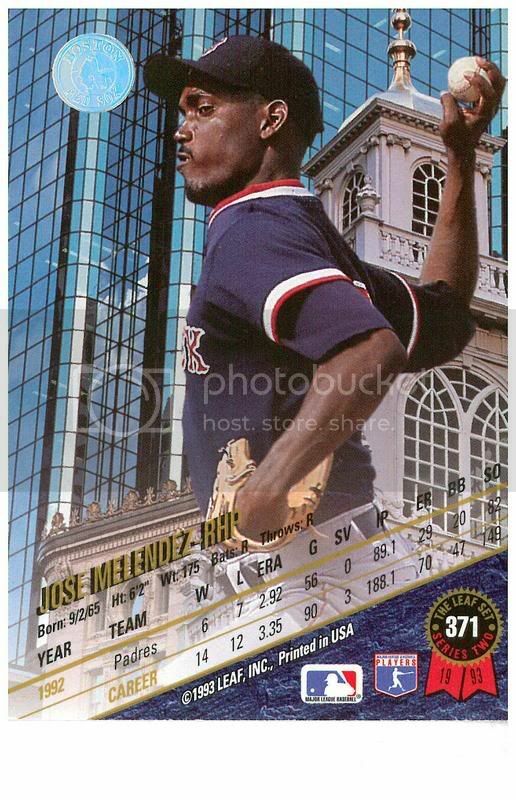 Jose would sort of like to see the Red Sox try something like this. It would be kind of fun if John W. Henry went down to the pitcher’s mound pregame and declared that someone on the team was his son and that he wouldn’t rest until he identified who it was. Jose figures it would have to be DJ Dru, because the only way that contract made sense, at least knowing what we do now about Dru being overshadowed by the awesome power of Doug Mirabelli, is if it was some kind of paternity settlement. Your name is Eric Heathcliff Gagne, and you were put on this Earth to close. In the past you have closed baseball games, ending them quickly and painlessly, in Los Angeles and Texas. You managed to end up closing baseball games, but it could have been anything. You could have been a detective closing cases, a real estate agent closing on home sales, or one of those pompous bar bouncers closing the door in the unglamorous faces of those lacking the requisite hipness to slink past the velvet rope. But your world, Eric Heathcliff Gagne, is falling apart. You came to Boston heralded as the final piece, and suddenly nothing closes quite so easily. Your cases go cold, your sales go unfinalized and somehow Miguel Tejada and Nick Markakis keep sneaking into the club wearing flip-flops and wife beaters. You are having an identify crisis, it seems. Who are you? What is your calling? When you got here they didn’t want you to close. They wanted you to hold. But who wants to hold? Telephone operators banishing irate customers into fiber optic Hades? Travel agents reserving airline tickets, but reminding clients that no price is fixed until payment is received? Tony Romo on critical field goal attempts? Not you, that is for sure. Fish gotta swim, bird gotta fly, Gagne gotta pitch when a win is nigh. Still, it shouldn’t be hard. Eighth, ninth, what’s the difference? (Note: One.) But it is. In fact, you cannot do it. You were brought to Boston to be a running mate to Hideki Okajima and Jonathan Papelbon, but God help you, you can’t keep up. Let’s put it this way, if they were to anglicize your name and put you in a buddy cop show with a Red Sox reliever of similar prowess, they would call it Gagne and (Kerry) Lacy. Though, perhaps this is unfair. 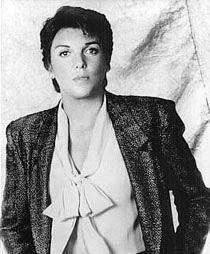 Jose would feel a lot better seeing Tyne Daly trotting out of the bullpen in the eighth these days than you. Thus far, you are not even the best French Canadian relief pitcher the Red Sox have had in recent memory. You are the sorry Friendly’s fries to the rich and creamy poutine that is Rheal Cormier. So what’s next? You have already manfully accepted blame for both losses over the weekend. This is a good start, but it is a terrible finish, like a Tom Clancy novel bad finish. Taking responsibility is only worthwhile if it is followed by a change in behavior. Can you heed the words of En Vogue, Good Charlotte and Wilson Phillips and “hold on?” Can you? Or will we be forced to recall a grim lesson from This American Life, that on hold, no one can hear you scream. For the first time, in Jose’s life, he is pulling for Wilson Phillips. 2. With Eric Gagne the Red Sox much heralded trade deadline acquisition blowing the game more often the Stephanie McMahon (note: snap), some pundits are beginning to compare the move to the Red Sox’s acquisition of the useless Scott Sauerbeck and even more useless Jeff Suppan in 2003. That move was also expected to cement the Red Sox as the leading contender for a championship. Instead, it only cemented Freddy Sanchez as the by player on the Pittsburgh Pirates. It will take some awesome pitching the rest of the way for Gagne to get down to the 5.57 and 6.48 ERAs that Suppan and Sauerbeck posted for the Red Sox in 2003. Gagne doesn’t match up with Roger Clemens nearly as well as Suppan. David Murphy will never win a batting title and go to two All-Star Games a la Freddy Sanchez. 3. Let’s see, what’s in the news, what’s in the news. Oh, it looks like President Carter decided not to make any neutron bombs. That’s good. What else? Pete Rose picked up his 3,000 hit. That’ll make him a sure bet for the Hall of Fame. The Mormons just decided to let blacks be priests? Outstanding. Yikes two popes dead in a single year? Crazy. Well, at least Sadat and Begin split the Nobel peace prize. That probably means that there will be peace in the Middle East soon. Hmm… There’s something wrong here. Jose can’t quite figure it out. What is it? What is it? Oh, Jose’s got it. None of these things is happening right now. And do you know why none of these things are happening right now? BECAUSE IT’S NOT 1978. Sid is not killing Nancy, Topher Grace’s mom is not giving birth to Topher Grace, scientists are not eradicating small pox and the Yankees are not coming back to win the A.L. East, because it is 2007. The idea that any of these events, each as ancient as the fall of Rome, will happen again is absurd, except for the second coming of Topher Grace, but that’s biblical prophecy, so it’s different.